During winter many of our herbaceous plants take refuge underground and deciduous trees shed their leaves. This allows the spotlight for rich evergreens and other plants in the garden to embrace winter and shine when it otherwise can be considered a bare stage. If a garden is designed and planted for winter interest, it can bring sheer delight through the winter months. The low trajectory of winter light highlights incredible detail on plants which may not have been visible in other seasons and the winter colour palette of warm rich reds, dark browns and silver fawns. There really is no excuse to be avoiding going outside in winter. Here are the Royal Botanic Garden Edinburgh we have a number of winter interest plants that may inspire you to grow them in your own garden or even take a stroll in our garden to admire their beauty. These incredible shrubs are among the first to flower and brave mid-winter. 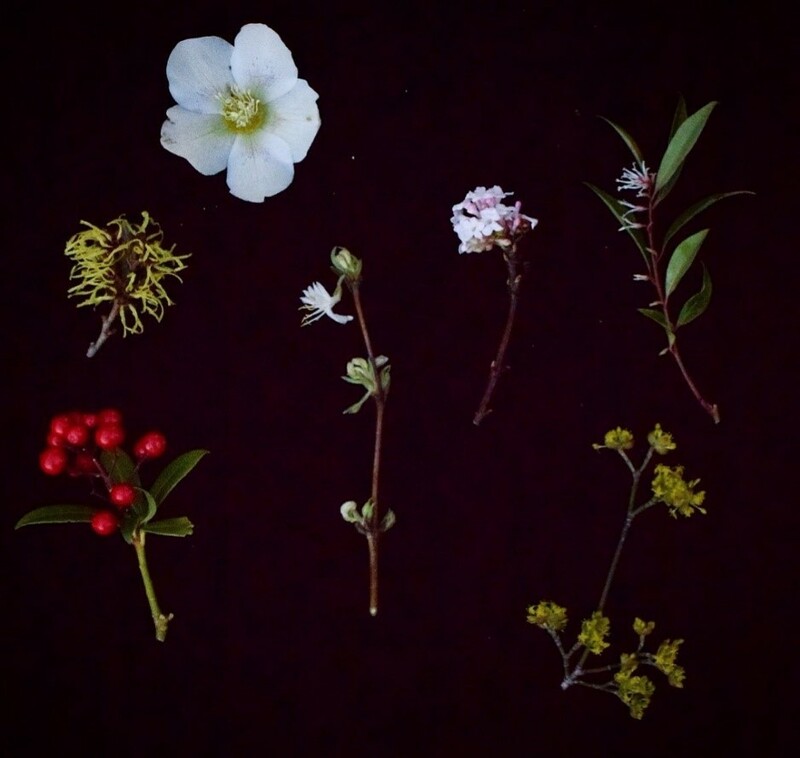 They have a branching framework that supports flowers in shades of pale lemon, golds, citrus oranges, spice browns and warm reds to name a few. Many of these flowers have a warm sweet fragrance and the flowers unfurl in a delicate manner standing defiant during the coldest part of the year. They certainly bring a welcome splash of colour to the garden for about four weeks at the bleakest point of the year. 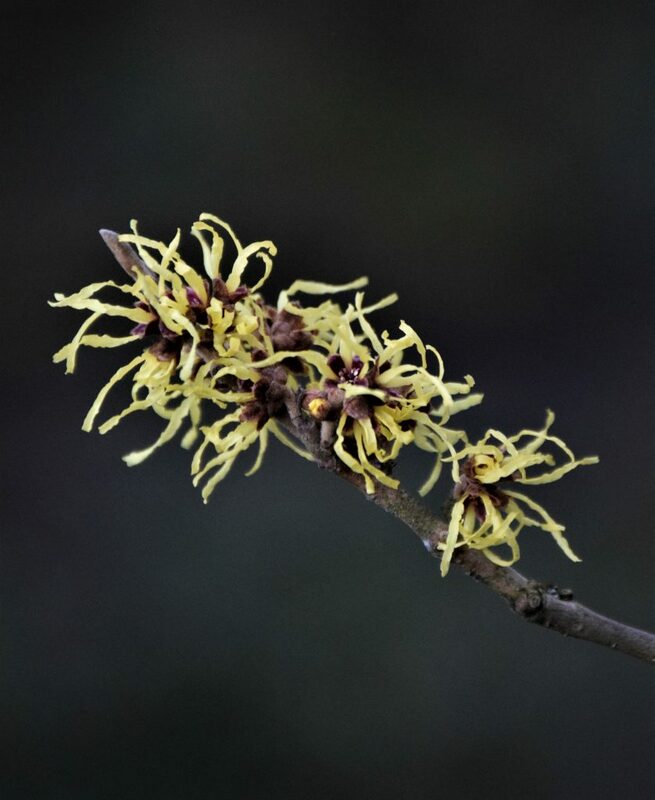 One of the largest flowering forms in cultivation is Hamamelis x intermedia which is a natural cross between a Chinese species Hamamelis mollis and the Japanese Hamamelis japonica. By far the strongest sweetest fragrance belongs to Hamamelis x intermedia ‘Pallida’ which has bright sulphur yellow flowers. 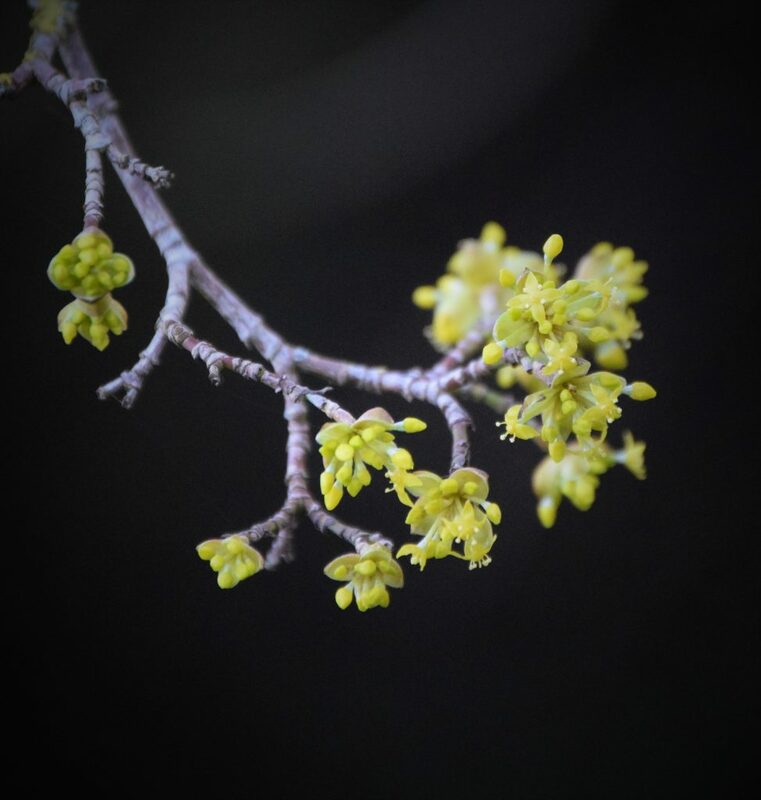 This deciduous shrub or tree is also referred to as the Cornelian cherry and is native to Europe and Western Asia. As a small tree, it reaches about 5m in height and it bears small bundles of clear yellow flowers on the end of its branches. It has impeccable timing and is always at its peak just when the snowdrops are beginning to emerge. After it flowers handsome leaves form which will turn reddish-purple in autumn, an impressive background for the bright red, cherry-like edible fruits that also appear. 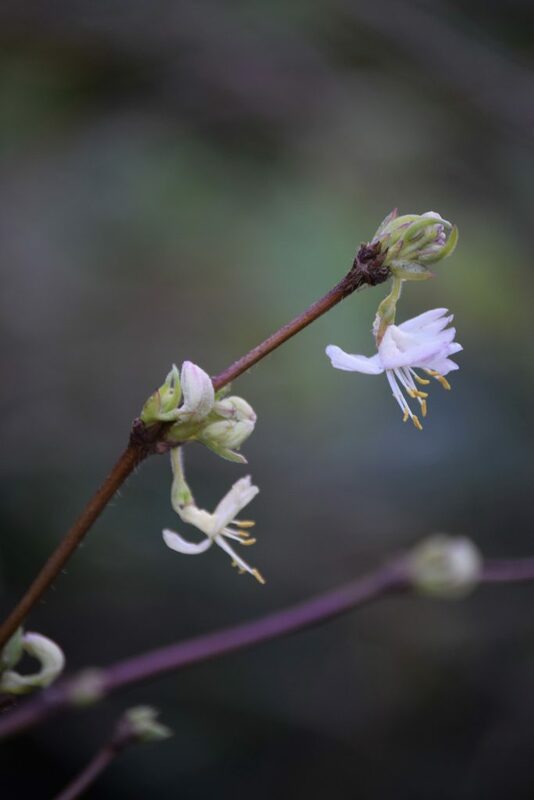 This deciduous to semi evergreen shrub has sweetly scented creamy flowers that appear in winter on bare stems. It reaches about 2.5m in height and is perfect if planted next to gates, pathways or seats allowing passers-by to enjoy the scent at close quarters. The Scottish plant hunter Robert Fortune collected Lonicera standishii and Lonicera fragrantissima from China in 1845. 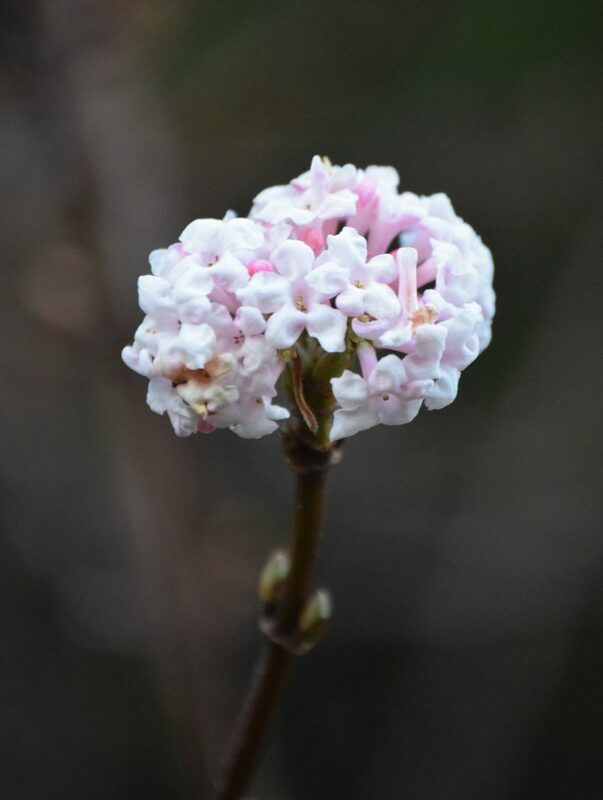 Viburnums in the winter garden are indispensable and available in soft shades of white and pale pink which actually make winter seem warm. There are many fragrant flowering winter forms. 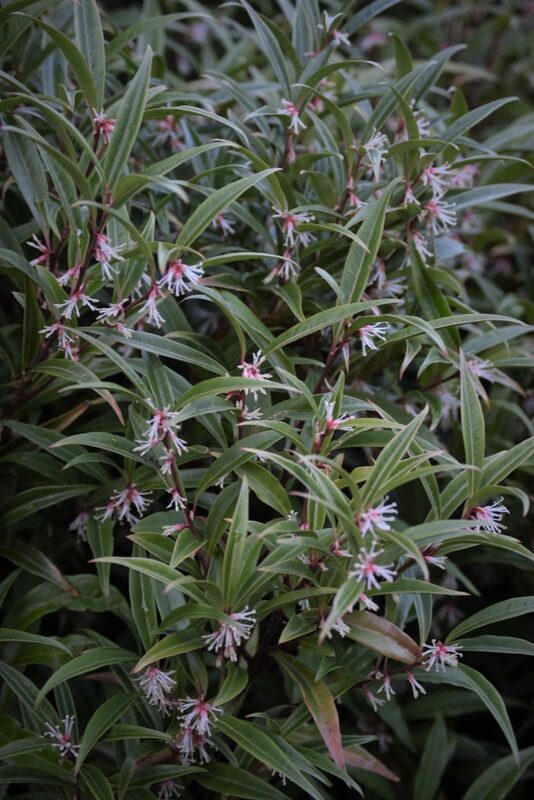 Vibrunum farreri starts flowering in November and continues throughout the winter. One of the most popular of all shrubs and a perfect plant for winter interest. It was first introduced by William Purdom in 1910 and then later by Reginald Farrer. Native to Northern China. A touch of red in the border whatever the season seems to add clarity and definition to a planting scheme and enhances it to the visitor’s eye. 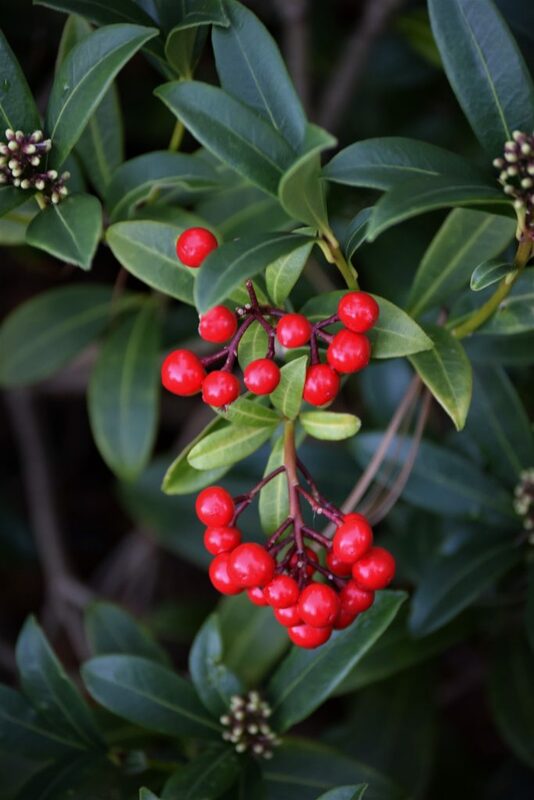 Skimmia japonica does just that with bright clusters of globular red fruits during the winter months. Known to be a variable dome-shaped shrub of dense habit, with leathery obovate to elliptic leaves. These are small evergreens that at first glance could be mistaken for a Buxus sempervirens. The plant is an attractive evergreen shrub with glossy foliage that is suitable for clipping. The small white fragrant flowers open in mid-winter creating a heavenly sweet scent. Perfect for doorways or enclosed court yards where the scent is captured by the passer by. Hellebores are well known for giving real winter value. Their flowers are remarkably tough meaning they can withstand harsh winter temperatures. They can in some cases continue to look good well into late spring. 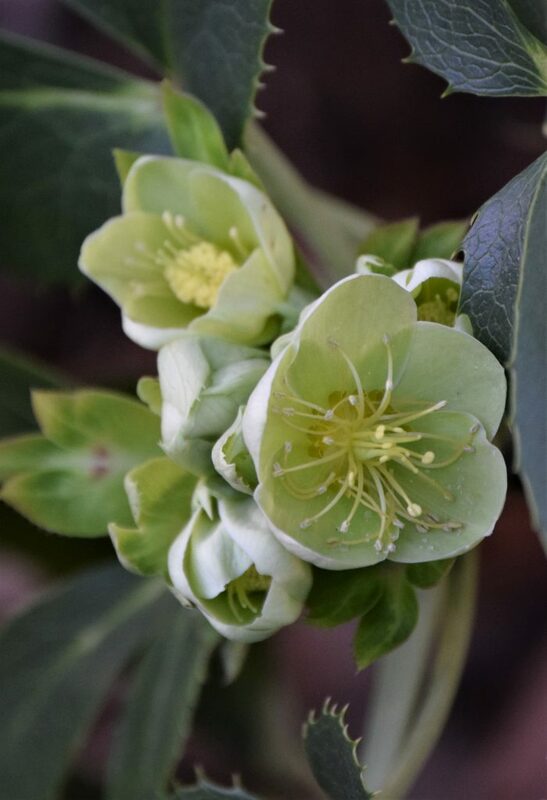 Helleborus argutifolius is a statuesque and bold plant with sharply spined leaves and large clusters of apple green flowers. Native to the Mediterranean islands of Corsica and Sardinia. Hellebores never fail to brighten a winter’s day.